I did receive this product for free in exchange for my honest opinion. The opinions are entirely my own. My son is almost 2 and he loves watching educational videos, he really loves music and songs within a video as well. The music is his most favorite. The Kidloland app provides 78 nursery rhymes that are broken into 2 sections. The first is 1-10 which includes 38 nursery rhymes and the second 11-20 includes 40. Some of the nursery rhymes are your classics; Itsy Bitsy Spider, Twinkle Twinkle Little Star, Jack and Jill. There are so many others as well. The videos are so colorful and vibrant. They really do stand out and it did keep my sons attention and he did enjoy them. However, there were certain instances in many of the nursery rhyme videos that seemed to me as a malfunction. The songs would play over and over on a repeat and would not stop. I noticed with others, that after the song and video were done, that a screen would come up where you have the option to either replay the video or go back to the others. During the videos it does have the song play along and lights up as the words are being sung to give you the opportunity to sing along with the video. The video also has a feature whereas the song and video is playing, you can touch the screen to make the characters move or speak. I noticed with some of them that when this is done it seems as if too much is happening within the video, too many sounds are going off as the song is still going on. I think with so much distraction within the video that it could be confusing. My son did not know the difference as he is only a year and half, however after a while it would just be too much for him to take in. I also noticed with some of the videos that there is some inappropriate behavior from the character that to me I just would not want my son to see, as the character is holding 3 cut off tails from mice that are sitting there crying as the character is enticing the mice. I may be old fashioned but I did not like that at all. Now on a better note, there is a section to learn ABC’s that I did find interesting. I really enjoyed using that section with my son. When you click on a letter it plays a song for different things beginning with that letter. There is also a Phonic section that has a song for every letter of the alphabet. There is also a little game that your child can play with each letter within the Phonics section as well. It is really neat. There is an activity section where there are hundreds of activities for your child to complete such as:puzzles, sorting by colors, dressing characters and much more. It is a really cool feature. There are many activities that could keep your little one entertained for a while. There is a section of Old MacDonald songs that is a bit different which includes the Farm, Jungle, Circus, Bird Park, Aquarium, and the zoo. They are really fun to sing along with and point out to your children the characters. The next section is Vehicles where it lists several different vehicles and has a song and video for each vehicle. The next section shows different animals and again a song plays as well as video with the different animals and characters within the video. There is a section for learning fruits and vegetables. Another section is titled Row your Boat with several musical videos within it. There is also section for learning numbers, lullabies, colors and shapes, months and days, games, and Christmas songs. 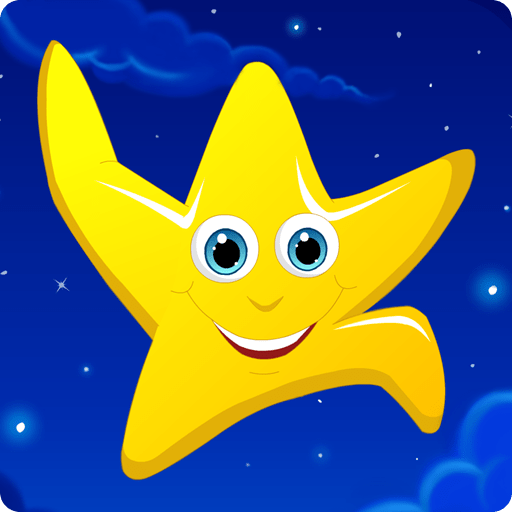 There are thousands of activities included within this app that are great learning experiences for your child some are better than others while some could use some improvements, overall the colors are bright and will keep your child’s attention in a great way. There is a button to create your own playlists for the videos you want to favorite. I also like that on the settings screen, it is set up to where only parents can access by solving a simple math equation. I really like all of the different activities that this app offers. It would take quite some time to get through every section, but that is worth it, if your child is learning something in the process, and having fun as well. To receive all of the features the app does require an annual membership of $10.00, which is extremely cheap compared to similar apps. I would say this app is suitable for children from the ages of 2-6.